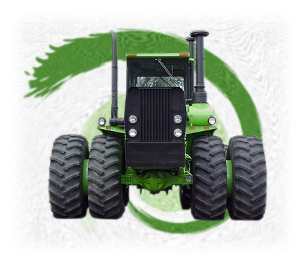 Big Tractor Parts (BTP) was incorporated in 1984 with the goal of supplying reliable parts for Steiger tractors at significant savings. For years this was done on the sight of the McIntyre Family Farm located 20 miles NW of Fargo, ND. Due to increasing needs for space and facilities as well as the existing needs of an operational farm we relocated 30 miles SE of Fargo. This move allowed us to put all of our offices, storage, and shop facilities under 1 roof. Since then we have made further additions to our facilities that have more then doubled our storage and shop areas. These investments are important to the future and our ability to live up to our goals and objectives. -Raba in-board planetary axle components. -Tiger III, IV, KP525, 9170, 9180, & 9190 hinge parts. 1. Meet or exceed customer expectations. 2. Save our customers money. 4. Offer a comprehensive warranty on both new and remanufactured products.